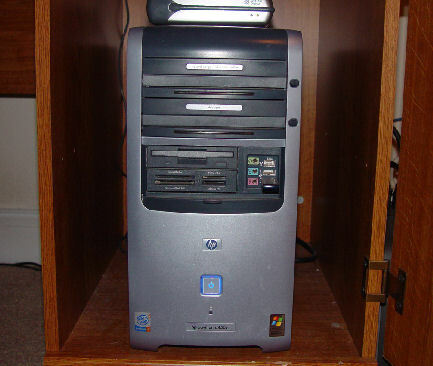 The Spell Checker is somewhat reclusive, so here's a picture of its home, Adam's computer. I don't actually know Adam's computer's spell checker directly, so you might say it's more of a "friend of a friend." But before the spell checker knew it wasn't allowed, it tried to find spelling errors on my site to earn Adam more credit on the Typo Sleuths. It's been very good about staying away though, now that it knows it would be stealing the fun away from the other would-be Sleuths.